I thought I would share this quick recipe for has browns today, so you can try it out over the weekend. In our house, weekends are for yummy breakfasts that don’t include cereal or oatmeal. Omelets, waffles, or french toast fit the bill. Last weekend, we came home from the dog beach around 9:30 and we were starving. We wanted a filling breakfast, and fast. 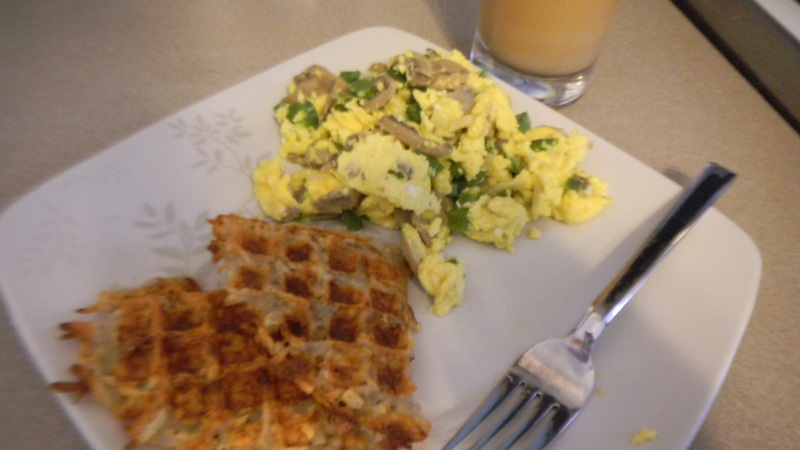 We came up with a veggie scramble and waffle iron has browns. I had heard that you could use your waffle iron for more than just waffles, but never tried it before. 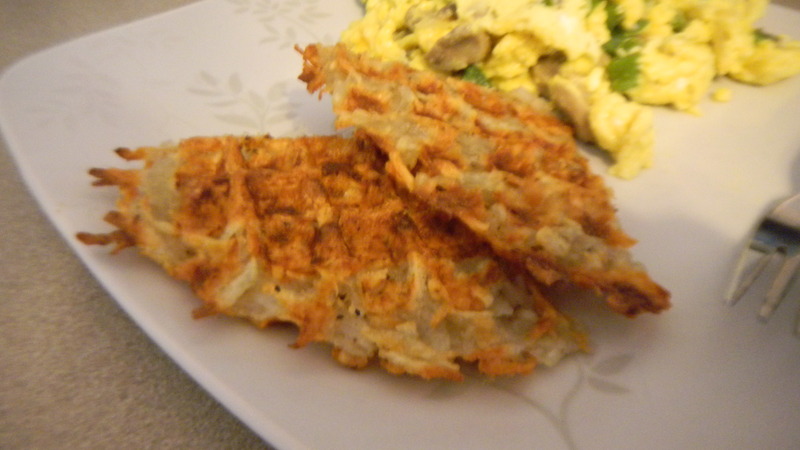 We had some potatoes we needed to use before they went bad, so with little to lose, I suggested we try hash browns. 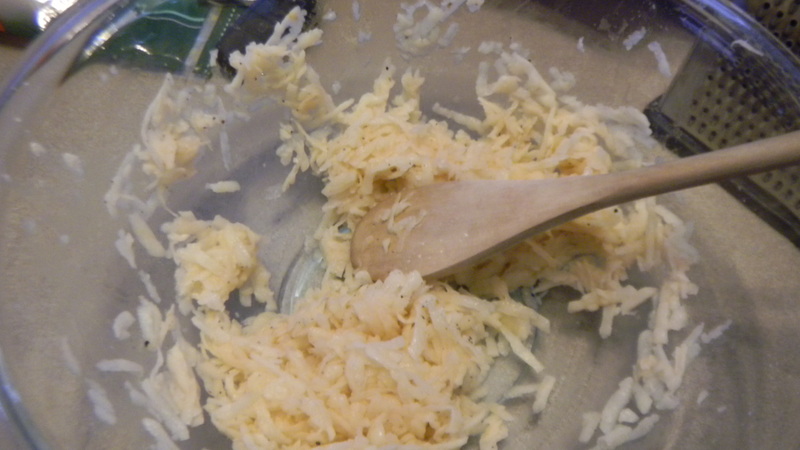 I started by grating a whole potato. I squeezed the pieces in a paper towel, to get rid of excess moisture. I put the potato in a bowl, seasoned it with salt, pepper, and a tad of garlic powder, then stirred. Spray your waffle maker really well with non-stick cooking spray. Add in the potato mixture (1 potato filled the whole waffle iron) and let is cook for about 10-15 minutes, until crispy. These were a great substitution for fried hash browns, without all the extra oil and calories, but keeping the satisfying crispiness. Try it out with your favorite weekend breakfast items. Love this idea! Now I am excited that Kevin insisted we register for a waffle iron! Such an easy and tasty addition to any breakfast. We just have a small waffle iron, but it fit one shredded potato perfectly.